Mayor is traditionally the Prime Minister. With Britain actively seeking membership of the European Common Market, Mr. Wilson delivered a major policy speech offering to help build a new technological complex for Western Europe. Both at Government level and, he hoped, within private enterprise, Britain is ready to discuss with one or more of the Common Market countries ways to create a new dynamic in European technology. 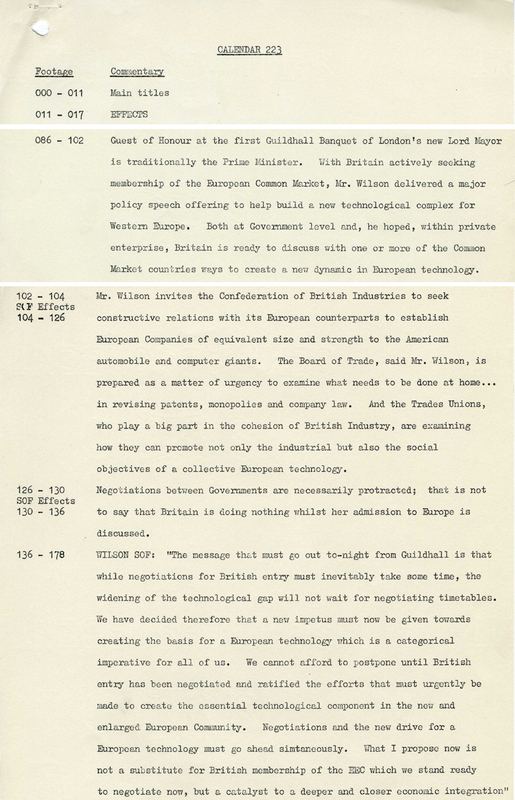 Mr. Wilson invites the Confederation of British Industries to seek constructive relations with its European counterparts to establish European Companies of equivalent size and strength to the American automobile and computer giants. The Board of Trade, said Mr. Wilson, is prepared as a matter of urgency to examine what needs to be done at home… in revising patents, monopolies and company law. And the Trades Unions, who play a big part in the cohesion of British Industry, are examining how they can promote not only the industrial but also the social objectives of a collective European technology. Negotiations between Governments are necessarily protracted; that is not to say that Britain is doing nothing whilst her admission to Europe is discussed. WILSON SOF: “The message that must go out to-night from Guildhall is that while negotiations for British entry must inevitably take some time, the widening of the technological gap will not wait for negotiating timetables. We have decided therefore that a new impetus must now be given towards creating the basis for a European technology which is a categorical imperative for all of us. We cannot afford to postpone until British entry has been negotiated and ratified the efforts that must urgently be made to create the essential technological component in the new and enlarged European Community. 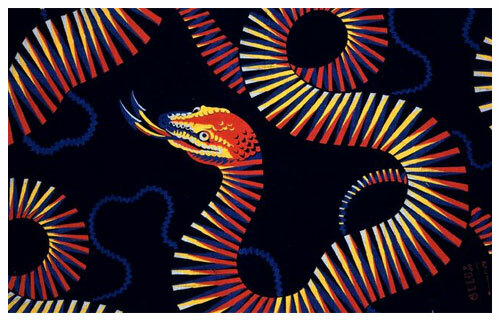 Negotiations and the new drive for a European technology must go ahead simtaneously [sic]. What I propose now is not a substitute for British membership of the EEC which we stand ready to negotiate now, but a catalyst to a deeper and closer economic integration”.